Use the find command to locate files on your box that were accessed or modified recently, or to find files based on size or owner. If you've not used the find utility before, you may want to start by reading "Getting Started with the Find Utility". 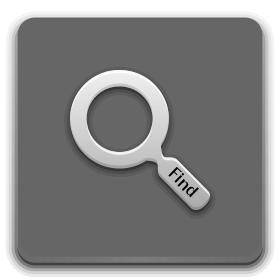 Find will allow you to search for files based on the file size. Firstly, lets look at how you'd search for files of an exact size. Note that the "c" represents bytes (characters). So the command above will match files in your filesystem that are exactly 2048 bytes in size, no file with size more or less than this will be matched. The "k" used above simply stands for Kilobytes (KB). As you probably know already, each file has three timestamps associated with it. When you want to find files that have been accessed, you use the "-amin" option. To find files accessed/changed/modified in the last n*24 hours, use "-atime", "-ctime", and "-mtime" respectively. The number of 24 hour periods actually gets rounded off so that fractions of a day are ignored. This means that to find files accessed in the last 0 to 24 hours, use "-atime 0" as above, and to find files accessed in the last 24 to 48 hours ago, use "-atime 1", and so on. i.e. "older than" the 24 hour period between 48 --> 72 hours ago, or in other words, to be part of the results, the files must have been accessed more than 2 days ago (at least 3 days). Note that for the -amin, -cmin, -mmin, -atime, -ctime, and -mtime options, you can specify to measure times from the beginning of the day rather than the last 24 hours by using the "-daystart" option. e.g. will show all files in /var/log modified since the beginning of today rather than in the last 24 hours. find / -user tutonics -name "file.txt"
If file.txt exists on on the system, but is owned by another user, it will not be retured in the results. find /var/log -group adm -name "*.log"
To check for files with no known user or group, use the options "-nouser" and "-nogroup" respectively. If you don't want find to descend directories of other file systems that you've mounted, use the "-mount" option or the equivalent "-xdev" option: e.g. find / -mount -name "*.txt"
find / -xdev -name "*.txt"